The international nature play movement has led to the rapid emergence of nature play programs across Victoria and Australia. These programs offer many benefits for children ranging from physical health and wellbeing to social skills and environmental knowledge. 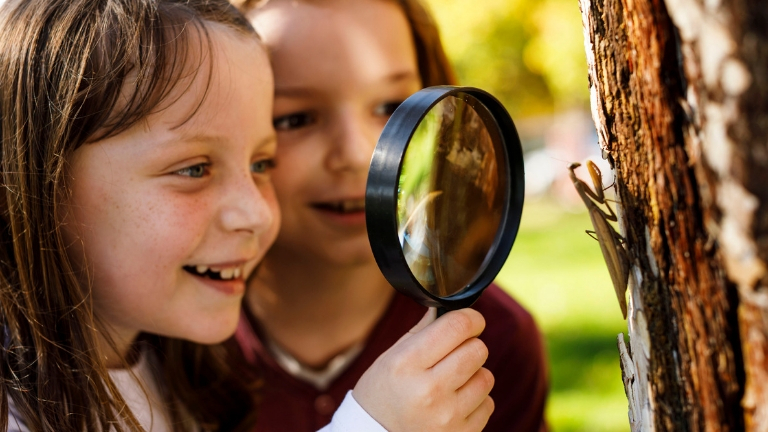 Join Sam Crosby, experienced nature educator, author and researcher, as she talks about the benefits of mentoring and supporting children of all ages to spend time outdoors with the goal of nurturing happy, healthy and nature-connected kids. Suitable for parents, educators and carers, hear about the benefit of risk in nature play and learn fun and practical activities that support outdoor learning, challenge and adventure. Nature play can be directly linked to Victorian Curriculum Foundation Stage (Years Prep-2) Achievement Standards, all 5 of the Early Years Learning Framework (EYLF) Learning Outcomes (DEEWR, 2009) and to Quality Areas 1, 2, 3, 5 & 6 of the National Quality Standard (NQS) (ACECQA, 2017). In March 2018, Dr Sue Elliot, a Senior Lecturer and Course Coordinator in Early Childhood Education at the University of New England (UNE) New South Wales, gave a professional development seminar titled Understanding Nature Play in the context of Bush Kinders and the early years of primary school: What's it all about? Dr Elliot is a Senior Lecturer and Course Coordinator in Early Childhood Education at the University of New England (UNE), New South Wales. She's an experienced practitioner, academic, consultant and author in early childhood education. Her fascinating seminar offered an introduction to nature play and bush kinder and its many benefits to children, ranging from physical health and wellbeing to social skills and environmental knowledge. It included snapshots of current research, examples of international forest school programs and links to current policies. Stay up to date about education for sustainability professional development events and meetings by signing up to the Teacher Environment Network e-news list.